14/12/18 18:35 we've been notified that this event has been cancelled due to poor weather forecast. You are invited to attend Caradon Observatory's next free outreach event on Saturday 15th December at Siblyback Lake. It will be a purely observing evening between 7pm and 10pm so please wrap up warm and hope for a clear sky. No prior booking is required. There will be a range of telescopes for visitors to look through. The main focus of the night will be the closest approach of comet 46P/Wirtanen. There is a really good chance that this comet will be visible with the naked eye from this dark site. If it's rainy or too cloudy the event will be postponed. 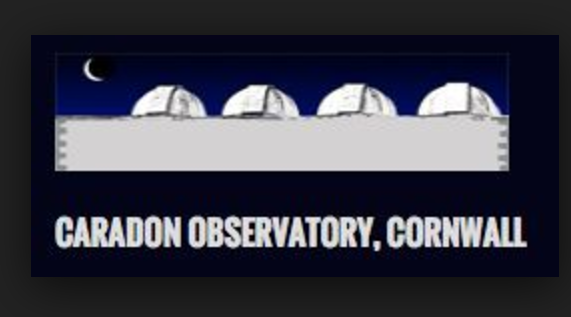 Caradon Observatory will post Facebook updates on the days running up to the event. The Rock Hopper Cafe will be open for refreshments and pre-booked meals. The event is one of a series showcasing the exceptional quality of the night sky over Bodmin Moor. Conditions at the last Siblyback dark sky event were very impressive. The moor was designated as an International Dark Sky Landscape in 2017 following a successful bid by Cornwall Council and Caradon Observatory. This event is being organised by Caradon Observatory who should be contacted if you have any queries. We highly recommend you confirm this event is indeed going ahead before travelling. If you do attend it would be fantastic if you could let the organiser know you found them via Go Stargazing! Please direct all enquiries regarding this event to the venue. The below graphic shows if and when it will be dark at Silbyback Lake Activity Centre - Bodmin Moor on the evening of this event. Yellow areas show when the skies are not dark due to daylight (bold yellow) and moonlight (faded yellow). Click on the image for an explanation on how darkness is determined.